A loan commitment is a letter promising a loan or credit by a commercial bank or other lending institution that may be drawn down and funded, according to the terms of the loan contract, at some time in the future. Other financial institutions that may issue loan commitments besides commercial banks are mortgage banks and credit unions. A loan commitment generally is given to an individual or business in the form of a loan commitment letter from the lending institution. The loan commitment in the letter is the amount of some type of loan that a financial institution has promised to make in the future but has not yet made. It’s important to distinguish a loan commitment letter from the prequalification letters you may receive frequently. A loan commitment letter, also called loan pre-approval, actually promises you will receive a loan. It promises that the lender is satisfied with your loan application, they have checked your credit history and your credit score, you have gone through any necessary underwriting procedure, and they are ready to make the loan to you. Prequalification letters or fliers that you receive in the mail from lenders seem to offer you loans or credit cards, but in these cases, the lenders have only taken a preliminary look at your finances. The lender may have looked only at your income, debt, and assets, and is certainly not offering you a loan. They are only offering you the possibility of a loan and the opportunity to apply for a loan. If you contact a credit card company after getting a prequalification letter, it will show up on your credit report as an inquiry. It’s not good for too many inquiries to be on your credit report since it appears you are trying to get more and more credit. A revolving loan commitment, also called an open-ended loan commitment, refers to a loan commitment that guarantees that borrower ability to use the monies from the loan over and over as long as payments are made on time. As the principal of the loan is paid down, the borrower can use those funds again. For example, this is true for a credit card. Another type of loan commitment is a non-revolving credit. 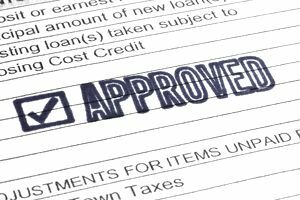 A non-revolving credit agreement is also called closed-end credit. This is because non-revolving credit can only be used once. After it is used, the account is closed and it cannot be used again. Examples are student loans, mortgage loans, and automobile loans. Payments on closed-end credit accounts still have to be made on time and according to the terms of the loan commitment letter. Both revolving and non-revolving loans can be either secured or unsecured loans. Secured loan commitments are those that are backed by an asset that can be seized if the loan is not paid. This asset is called collateral. Secured loan commitments are usually made in the case of mortgage loans and automobile loans. Unsecured loan commitments, like credit card loans and student loans, are not secured by collateral. Revolving secured loan, then an example is a home equity line of credit (HELOC). If you are approved for a HELOC, then you have a certain maximum loan amount, but as long as you make the payments on the loan, you can use the principal, pay it off, and use it again. Bear in mind that your home is the collateral for the loan. Revolving unsecured loan, then an example is a credit card loan. You will have a credit limit on your credit card. When you draw down part of your credit card limit (make a purchase on your credit card), you can use it again after you pay it off. There is no collateral associated with a credit card. Non-revolving secured loans, then an example is a mortgage on your home. It is secured by collateral which is your home. When the home is paid off, the account is closed. The first mortgage on a home is a non-revolving secured loan, but the HELOC is a second mortgage and a revolving secured loan. Another example is your automobile loan. Non-revolving unsecured loan, then an example is a personal loan that you take out from a commercial bank for some reason, perhaps credit card consolidation. If your credit card balances get unmanageable, you can consolidate them by using a personal loan. Another example is a student loan. In order to get a loan commitment letter for any of these loans, the first thing you should do is review your credit history for any errors and fix them immediately. You can get copies of your credit history from the three major credit bureaus and you should review each. You need a spotless credit history and a high credit score. You fill out the application for the loan that you want, but first, you should compare similar loans from at least three lending organizations for the best interest rate and terms of the loan. For a student loan, most universities have their applications online or direct you to the appropriate site. It is imperative that you apply for a student loan(s) far in advance of the term when you will be starting school. If you clean up your finances and go through the appropriate steps to apply for a loan, you may be a recipient of a loan commitment letter. What Are Some Good Reasons for Personal Loans? When Should You Choose an ARM Over a Fixed-Rate Home Loan? Just How Bad Is Payday Loan Default? Are There Price Limits for Jumbo Loans? You can make money directly off of other people's debt. Are Savings Accounts Really Free?